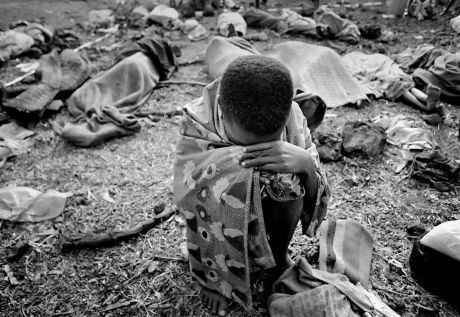 The Rwandan Genocide and École Technique Officielle: Indifference? Negligence? Or Something Else? I have been surprised by the amount of feedback received on my earlier post on the Rwandan genocide: The Rwandan Genocide, Dom Bosco School and Captain Luc Lemaire: Indifference? Negligence? Or Something Else? A frequent question I receive involves Dom Bosco School and the École Technique Officielle (ETO)… Where the stories between the two converge and diverge is beyond me to relay with absolute certainty. The participants are dead or unwilling to talk about their roles in that sordid turn of events. And, as I have not visited Rwanda yet, it is difficult for me to provide specific details in regard to Dom Bosco School and École Technique Officielle (ETO). The École Technique Officielle was a technical school in the Kigali suburb of Gatonga run by Salesian Fathers, where 2,000 people (mostly Tutsis) were sheltering. Receiving orders to withdraw, a Belgian lieutenant suggested the Belgians slip away under cover of darkness. Before this plan could be brought to fruition though, the Rwandans learned of the intentions of the Belgians and began approaching the lieutenant asking to be shot rather than to be left facing death at the hands of the militia and their machetes. When the Belgians surreptitiously began to pull out, a crowd chased after their vehicles, pleading, ‘Do not abandon us.’ Within hours nearly all 2,000 were slaughtered. Watching the Belgians depart on April 19th, 1994, General Dallaire (discussed before here) felt a deep sense of betrayal. The events that took place at École Technique Officielle are the subject of a movie named Shooting Dogs (also called Beyond the Gates) by Michael Caton-Jones. The title takes its name from the practice of UN soldiers in shooting at the stray dogs that scavenged the bodies of dead. Since the UN soldiers were not allowed to shoot at the Hutu extremists that had caused the deaths in the first place, the shooting of dogs is a nice analogy for the madness of the situation. The movie, although fictional, is shot on the actual location of École Technique Officielle (and even uses the few survivors as extras) and portrays the decisions that were made to save whites hiding in the school while condemning the remaining Rwandans to death. The plot is centered around a real-life hero, a Bosnian priest named Vjeko Curic who was sort of an Oscar Schindler in seeking to protect hundreds of Tutsis while putting himself at risk (He was killed under questionable circumstances in 1998). The subject of religion serves as a good segue at this juncture… Curiously, in the last two weeks, I have received several scathing emails taking me to account for not doing more to take the Church to account for its passivity, and at times shameful complicity, in the Rwandan genocide. The Church’s complicity in Rwanda in 1994 is well-documented. As is the individual bravery of many priests— black and, on a few occasions, white. However, my intention was not to condemn the Catholic Church nor to provide a complete history of the Rwandan genocide of 1994 (Yes, there have been other episodes of mass ethnic killing in Rwanda), but to answer a simple question: Who made the decision to abandon Dom Bosco School? If anyone reading this wishes me to take sides or to provide a complete history of the events of 1994, then I am afraid you are looking in the wrong place. I don’t take sides in my postings unless I have first-hand experience (as in Kosovo) and I lack the inclination and resources to provide a complete history of killing in Rwanda. Tags: École Technique Officielle, Lt. Gen. Romeo Dallaire, Rwandan genocide. Bookmark the permalink. I am, as I always do with events such as the Rwandan genocide, struggling with how people decide that mass murder is the logical next step. In all honesty, it makes my heart sink and it tends to sadden me for a fair while after reading or watching articles on such subjects. Do you know how the catholic church was complicit in the Rwandan genocide or know of any articles? As much as I would like to be able to provide you with more information, I have not visited Rwanda yet and so cannot provide specifics. I have just heard rumors and secondhand stories of Catholic complicity (or indifference at best) in the Rwandan genocide (other than that which I included in this post). And, yes, unfortunately any study of human activity over a period of time does seem to produce such feelings of sadness, resignation and despair.